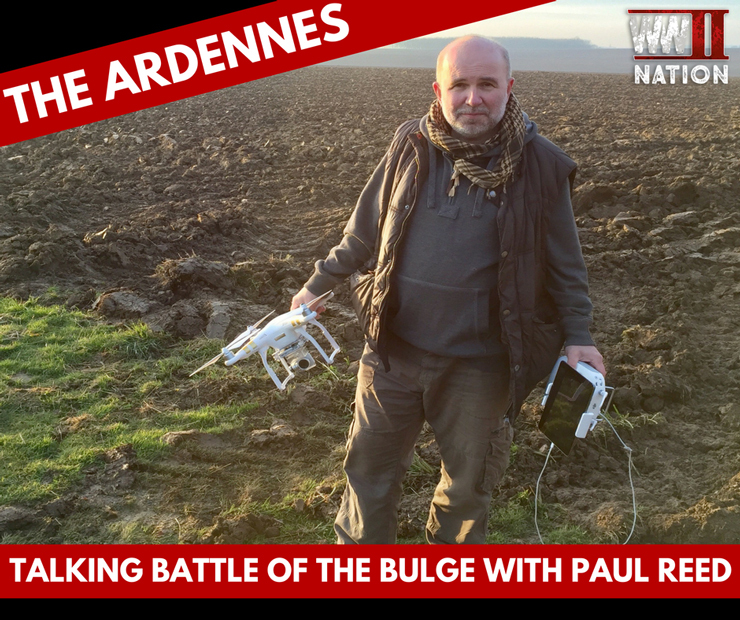 In our latest interview, we recently caught up with our good friend, battlefield guide and historian Paul Reed, to find out why the Ardennes and Battle of the Bulge battlefields are a personal favourite of his to guide over, as well as discover more about Hitler’s last throw of the dice in December 1944. Twice invaded and twice liberated during the Second World War, what makes this area of Belgium so important as an access route for the Germans? And why does Hitler choose here to make his last throw of the dice in December 1944, what is he hoping to achieve? In 1940 the Ardennes offered the impossible: an easier route into a less well defended part of France, a chance to show that the old Schlieffen Plan could be used once more in some respects. German victory in the Battle of France depended on getting through the Ardennes and the French defence depended on that not being possible. So it was a place vivid in the mind of German military commanders. In 1944, there was arguably a symbolic aspect to the battle; attacking in so many places from German soil to throw the Allies back. Could they have ever reached Antwerp and squeezed our supplies to nothing? I doubt it without proper air cover, good roads and sufficient fuel and reserves. But it was a gamble by a dying, corrupt regime, who thought the outcome of the war could be played out among the trees of the Ardennes as they had seen four years before. 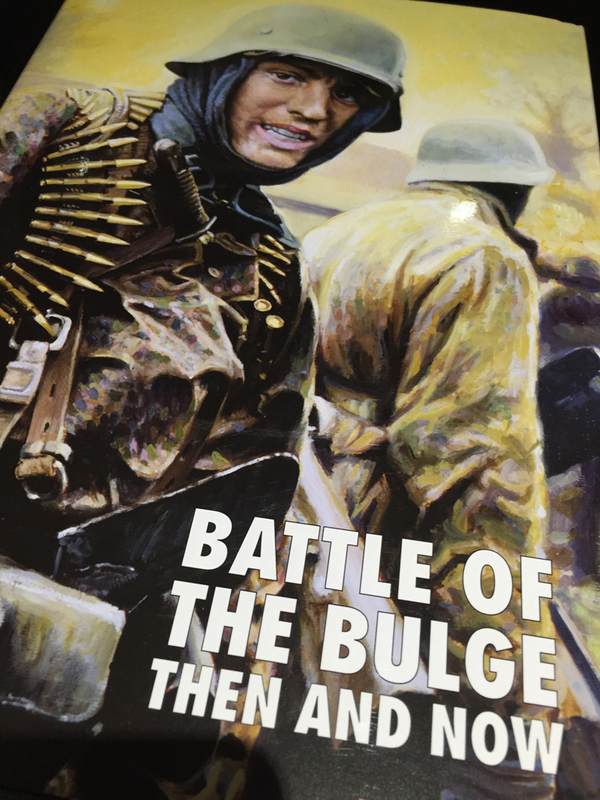 The 6 week Battle of the Bulge really is fascinating campaign to study for various reasons. I gather that this battlefield is a personal favourite of yours to visit and guide on. What makes this such a special place to visit and so different from other battlefields in the Northern-Western European Theatre? 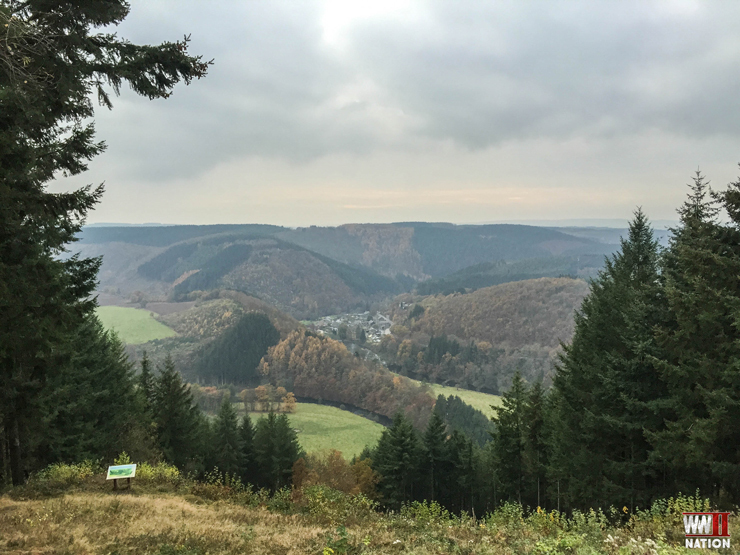 The Ardennes is the largest open air museum in Western Europe; a massive battlefield covering a huge area of Belgium and Luxembourg, and indeed parts of Germany. It’s an area steeped in history, covered with foxholes, bunkers, dragon’s teeth and also superb museums as well as numerous memorials. 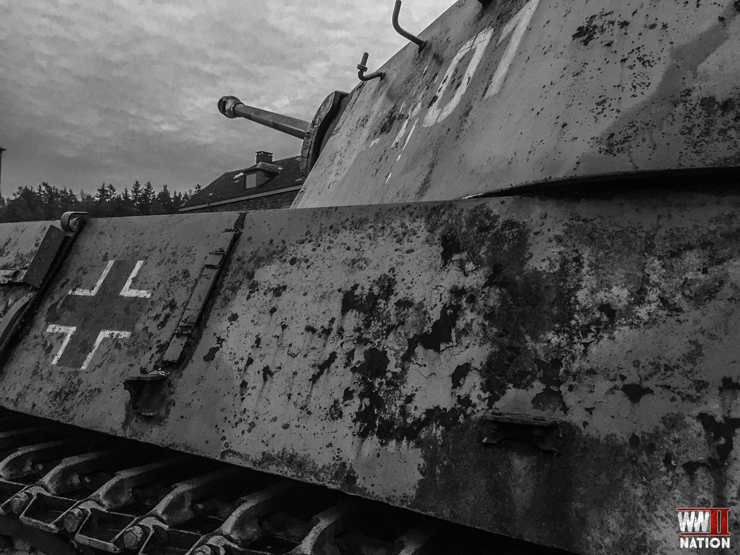 Another unique feature are the number of original WW2 tanks, AFVs and guns still on the battlefield; obviously as memorials but these are not mere trophy tanks, these are actual vehicles used in the Battle of the Bulge and naturally that means they have a fascinating history too. Where else can you travel round a battlefield and see Shermans, Panthers and a King Tiger?! For this reason is remains one of my favourite WW2 battlefields to visit because there is so much to see, and you can easily trace the action on the ground today. Add to that the good food and beer in Belgium, and that’s a perfect combination! 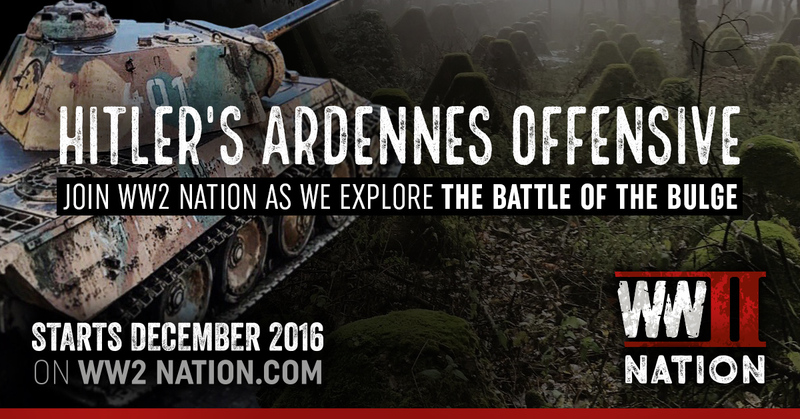 When was it you first visited the Ardennes and how has the battlefield changed down the years? I made a brief visit to Bastogne in the mid-1980s but started visiting seriously in the 1990s, and our first Leger Battlefield tours began there in 1999. I’ve seen it change over that time, like all battlefields, but because it is an area largely covered in forest, and because of the nature of the terrain, it hasn’t really seen much development compared to say Arnhem or Normandy. So it is easy to find whole areas where the Siegfried Line is intact, foxholes remain in many of the key positions and you can pretty much still navigate the region with 1944 maps. 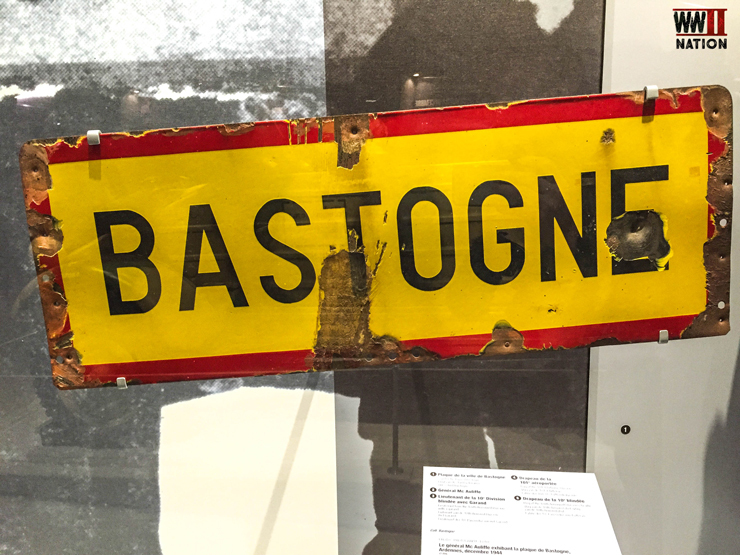 Positive changes have included the excellent redevelopment of the Bastogne War Museum and the opening of the 101st Airborne Museum; this latter is a really superb WW2 museum with an amazing ‘Bastogne Blitz’ experience in the basement which really needs to be experienced to be believed! The level of Tourist infrastructure is also much better, all credit to the Brussels-Wallonia and Ardennes regional tourist offices. Their new – and free! – battlefield map is excellent! I have read numerous stories of people finding various items just lying there, left behind from the Battle over this battlefield. I have always been keen to know what happened after the battle with the numerous vehicles and equipment abandoned on both sides during this fighting, were these just left there or was there some sort of organised cleanup afterwards, did some sort of specialised Allied unit collect and salvage all this stuff to re-use? There was certainly a wartime and post-war clear-up, but the battlefield was so vast, and many areas so remote, that not everything was cleared away. When I first went to WW2 sites like these in the late 70s and early 80s WW2 was almost as close as the Falklands War is to us now, so perhaps it wasn’t surprising to find canteens and ammo and other items, but those days are pretty much long gone. The area has been a haunt of metal detectorists, but that is now forbidden, but again the remoteness of it probably means that it still continues in some areas. But surface finds are rarer, although we have found shell fragments in some areas when we have been on battlefield recces. The area had also been devastated in the war and I know a lot of locals salvaged abandoned kit and used it themselves in the post-war period, and of course there was the ready danger of UXO in the area, especially mines, which continued to kill people well into the 1950s. There is actually a very interesting story as to how Kamfgruppe Peiper’s King Tiger Tank No. 213 at La Gleize survived the scrap yard and in fact its restoration which provides a very unique link to Otto Skorzeny’s Commando unit, isn’t there? 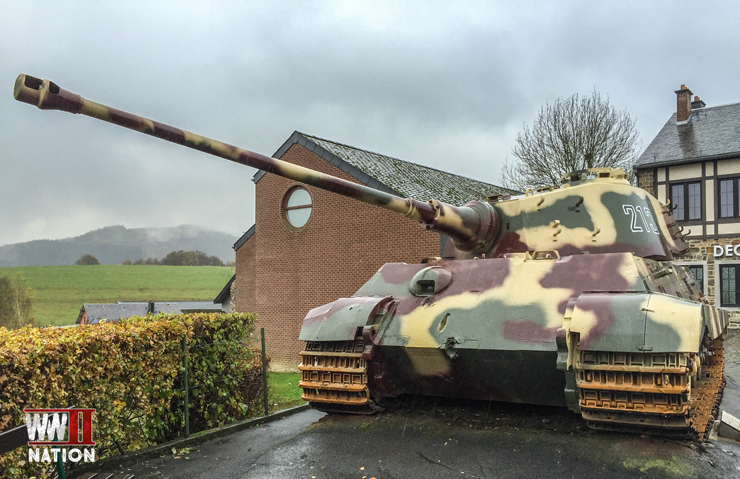 As you know the village of La Gleize pretty much marked the high tide of the Kampfgruppe Peiper advance in December 1944, and Peiper and his men got away, but left behind a huge amount of kit including this King Tiger. The tank had been in action with another King Tiger at Werimont Farm, just outside the village, when it engaged an American Combat Command advancing on the position. During the exchange of fire the tank lost part of it’s main gun barrel and the commander was wounded. They abandoned the vehicle and in the post-battle clear-up most tanks were taken away, but the owner of the farm, Madame Geenen-Dewez, purchased the tank for the princely sum of one bottle of cognac! Eventually it was moved to the village square and the missing muzzle brake was replaced with one salvaged from a Panther used in Skorzeny’s battle group, which had therefore been disguised as an M10. So quite a history! 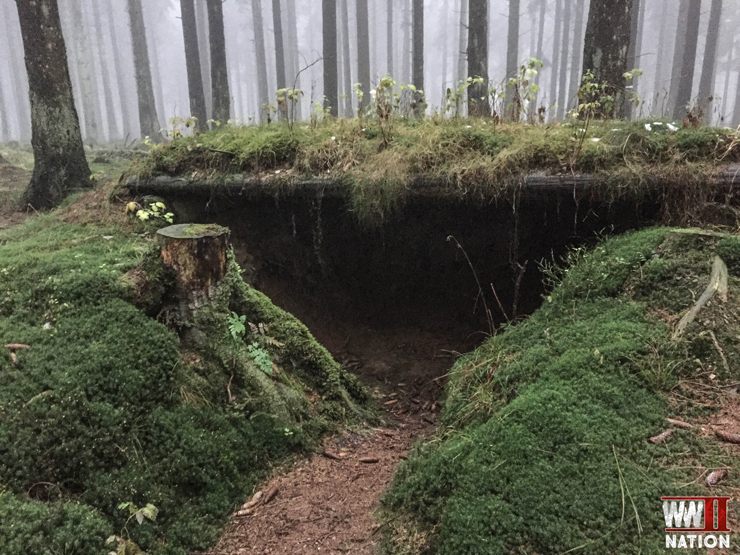 Following your kind recommendation to read ‘A Company Commander’ before our trip, I was keen to visit the North Shoulder and in particular the woods around the Elsenborn Ridge to see the conditions in which 21 year old Company Commander Charles MacDonald and his men fought. What happened to him and the rest of his Regiment here when the Germans launched their offensive in the Ardennes and is there still much to see connected with this area of the battle? 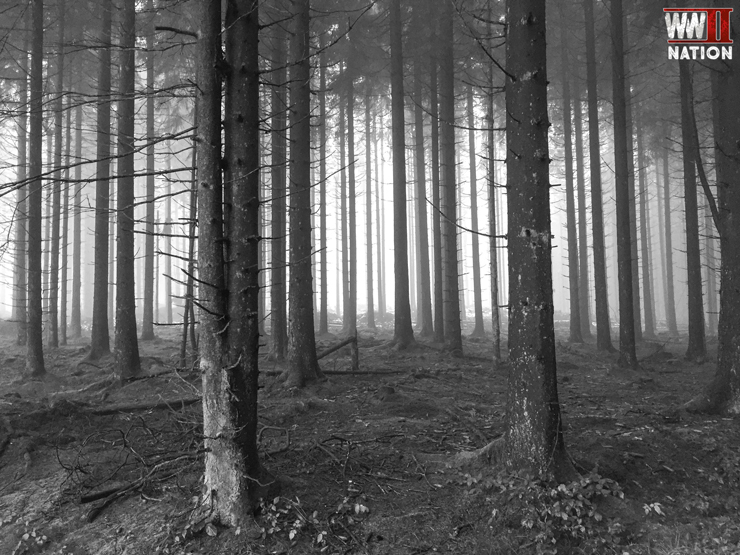 For us it was a really eerie place to visit with the fog descending all around us in the Krinkeltwald. You can only imagine how terrifying the conditions would have been for these men fighting here, able to hear but not see what was coming. This area saw some fierce fighting during the Battle of the Bulge, I guess indicated by the award of 3 Medal of Honours, what did these three men do to be awarded America’s highest honour? The Medal of Honor is America’s highest decoration, the equivalent of our Victoria Cross and quite a few were awarded for bravery during the Battle of the Bulge. But yes, in the fighting around Krinkelt there were three awards. On 16th December in the initial fighting at Krinkelt, Tech Sergeant Vernon McGarity of the 393rd Infantry, from the ‘Battle Babies’ Division, proved that inexperienced men did not lack bravery. He led a group of men who came under tank and infantry attack and he not only personally rescued woundeded GIs but supervised the fire of bazookas and anti-tank guns until they were surrounded. To enable a break out he stormed a machine-gun team but eventually his group ran out of ammo and were forced to surrender. Next day on the 17th in the Krinkeltwald, PFC Richard Cowan of the 23rd Infantry was a machine-gunner who came under attack from infantry and a King Tiger, but kept on fighting and as they began to get surrounded, he kept on firing to allow his buddies to escape, only narrowly managing to miss being taken prisoner himself. Sadly he was killed the next day. Sergeant Jose Lopez, also of the 23rd, was another machine-gunner in the Krinkeltwald who kept on firing despite being attacked by the King Tigers and heavily bombarded by German artillery, also saving his position from being overrun. Three amazing acts of bravery that give you an insight into the ferocity of the fighting in those early days here. Down the years you have taken many veterans back to revisit where they fought during the Second World War. 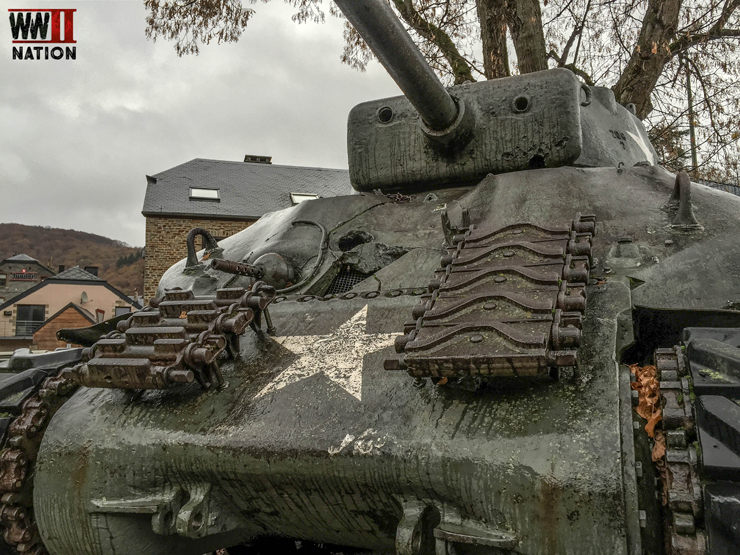 Have you returned to the Ardennes in particular with many veterans of the Battle of the Bulge? Is there anything that they all remember more than any other about this campaign? As one thing that struck me about many of the veteran accounts I came across was the constant reference to the number of V Weapons used by the Germans during the Ardennes Offensive. Most of the veterans I have travelled with have been British but I have taken a few who served there with the British forces who were employed to the Ardennes in 1944. To them it was just another part of a long period of fighting from D-Day to Germany, but of course they remembered the battles in the snow which made it stand out in their area, and one lad from 6th Airborne and been witness to the aftermath of some of the civilian massacres in the area, the only example of this he ever saw. American accounts, and some veterans I have met while in the area, did indeed mention the V weapons and just the scale of German forces they encountered, something which surprised them all when they thought Germany was on the backfoot. Image being one of those Battle Babies in the north, thinking the war was almost over and the Nazis beaten, and you get attacked by King Tigers and infantry carrying the latest assault weapons. It must have made some of them think the war would never end. 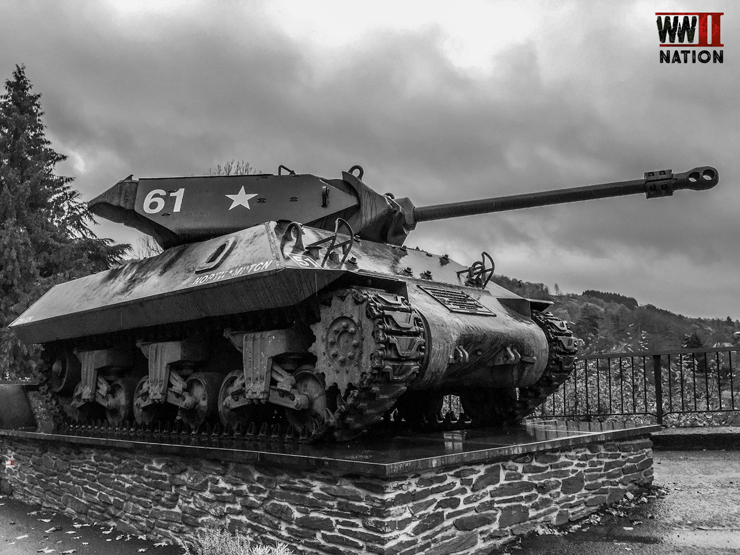 Quite a few people have written into us saying they are keen to visit and explore the Ardennes battlefields and wondered where we would recommend. 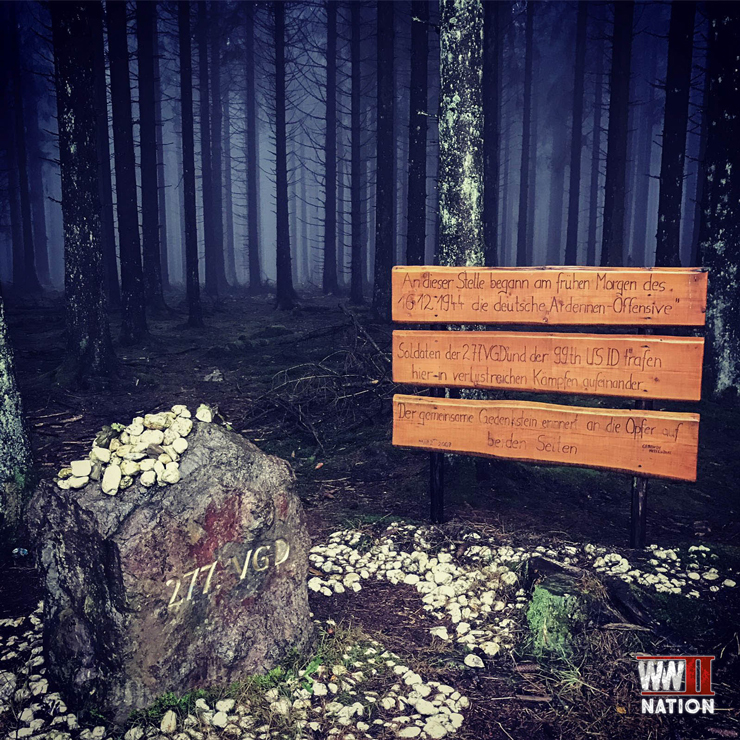 Having visited and guided there numerous times down the years, what in your opinion would be the 10 must see places connected with the Battle of the Bulge that people visiting this area for the first time cannot afford to miss? 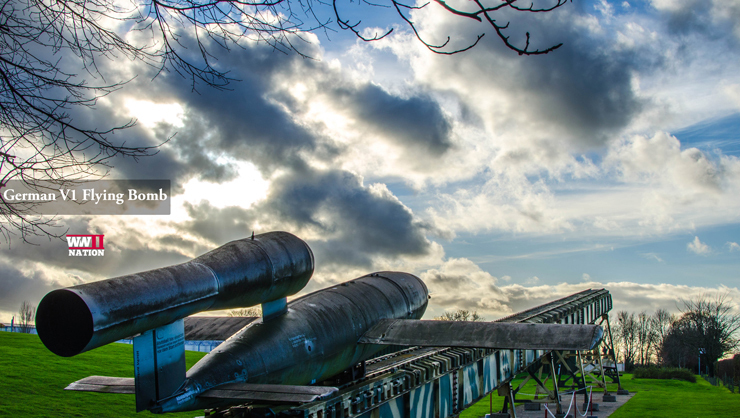 The best place to start is Bastogne, and there is a lot you could do just from there such as the 101st Airborne Museum and Bastogne War Museum. Just outside is the impressive German Cemetery at Recogne, plus of course Bois Jacques and Foy where the Band of Brothers were. Then proceed up to La Gleize to see the King Tiger and travel across to the Malmedy Massacre site. It’s worth having a look at some of the Westwall on the German border at Hollerath for example; here you can see Dragon’s Teeth, anti-tank ditches and also positions in the woods as well as memorials to both sides. The Henri-Chapelle American Cemetery is a must as the largest number of Bulge casualties are buried here. Don’t forget the British side as well, so a visit to the museum at La Roche and seeing the M18 Achillies could be combined with a stop at Hotton War Cemetery. When doing our research before the trip, one thing that both Ross and I were left slightly disappointed in was the lack of a precise guide book on the Battle of the Bulge. Is this something we can expect might be changing shortly though? The best single book at present for planning a visit remains After The Battle’s ‘The Battle of the Bulge Then and Now’. This is very useful for planning trips but it is quite out of date when it comes to the ground now. There are a couple of guidebooks available in French, but virtually nothing in English. That is about to change as I have a series of WW2 battlefield guides in the pipeline and one of these will be about the Ardennes. Watch this space! The Wacht am Rhein Offensive, Hitler’s last throw of the dice is a fascinating campaign to study, German commandos dressed as American GIs, the last drop of the Fallschirmjagers, Kampfgruppe Peiper’s Bloody March towards the Meuse, the sieges of St Vith and Bastogne to name just a few, and much more. Personally for you though, what is the most interesting aspect of the Battle of the Bulge and why? I think like all of these battles, what always interests me is the experience of the men on the ground. For so many GIs, this was their first and last battle, and the same is true for the Volksgrenadiers, young boys and older men thrown into battle, again often for the first time. The war, to both sides, must have felt like it was almost over, but yet there was still nearly another six months to go. Wacht am Rhein was the last throw of the dice, one that arguably did much damage to the German Army’s ability to defend the homeland, and which helped pave victory for the Allied cause. But that long battle in the snow, there is something haunting about it. Every winter when I’m out and about in Europe, I think of it. Seeing snowy trees takes my mind back to the dark forests of the Ardennes and the crushing battles which unfolded in one of the most decisive moments of the last months of WW2. It’s an amazing place to visit and connect with the history of the Second World War. Thanks to Paul for kindly speaking with us and sharing his knowledge and experiences guiding over the former battlefields of the Battle of the Bulge. For those who have missed it, you can catch our latest Vlog from this trip exploring the Ardennes by Clicking Here. 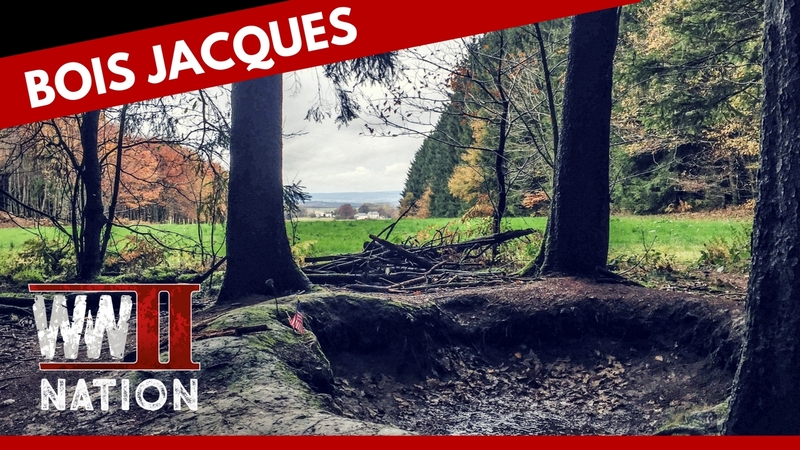 In this instalment, we visit the Band of Brothers Foxholes, Foy and 101st Airborne’s HQ at Bastogne.